Last week, hypnotist and member Marc Bachrach read our story on Huffington Post about Elvis impersonators at weddings. That prompted him to share his own less- than great experience performing at a Mardi Gras themed wedding reception that featured a magician, a singer, Elvis and of course, Marc. The short version of the story is that despite having over 300 guests and multiple moving parts, the wedding did not have a professional planner and things got really, hilariously out of hand (well, hilarious if you weren't trying to perform or weren't the bride). How out of hand? The bride wound up vomiting in the bathroom! You can read the long version on the wedding blog. 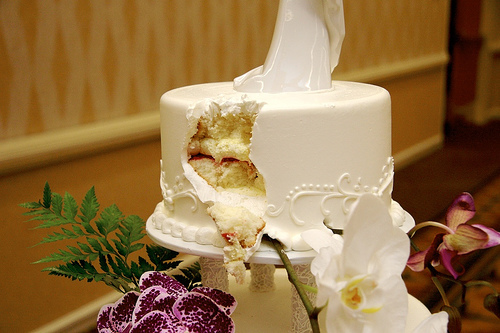 We'd like to know, what's the WORST wedding or other party disaster you've witnessed? Share it in the comments and we may use it in a future story on one of the blogs, or even somewhere else. If you've got another story you'd like to share, let us know in the comments or shoot us an email at marketing (at) gigmasters.com.